You can stop right here if you have been searching for transportation for the disabled in Orlando, Florida. We started out providing handicap transportation more than 14 years ago, and we have continually expanded our capabilities. Our goal is to make the communities that we serve stronger through our efforts, and we take a lot of pride in the quality of our wheelchair taxi service. This Orange County city is an extremely special place on many different levels. It is the dream destination for many children as the home of Universal Orlando Resort and Walt Disney World. Of course, there is plenty for adults to do in “The City Beautiful” as well. There are world-class golf courses, and enthusiasts have the ability to enjoy them all year around because of the mild climate. Orlando is also a cultural hub with many performance centers and theaters, including the Orlando Shakespeare Theater and the Bob Carr Performing Arts Centre. There are numerous colleges and universities in town, and given the vibrancy of the economy, career opportunities are abundant for graduates. It is definitely a fantastic place to call home, and we will be here for you whenever you need an Orlando wheelchair transport resource. We provide transportation for disabled people that need to visit local hospitals like the Orlando Regional Medical Center and Florida Hospital Orlando. Of course, we can also provide wheelchair taxi transportation to the offices of doctors, clinics, rehabilitation and physical therapy facilities, and all other locations that provide health care services. 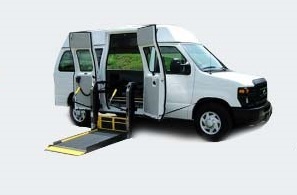 If you need a wheelchair transport service, you may be concerned about extremely high costs. This is understandable because everyone has budgetary constraints. The good news is that you can rely on us to provide top-notch, reliable handicap transportation at very affordable prices. In fact, our new clients are usually quite pleasantly surprised when they learn about the pricing details. We go the extra mile to treat all of our clients the way that we like to be treated when we are engaging service providers, and you will recognize this from the first moment that you reach out to us. If you would like to discuss transportation for disabled individuals with one of our knowledgeable Orlando, Florida handicap transportation consultants, you can reach us by phone toll-free at 855-263-7215. You also have the option of sending us a message through the contact page on this website.